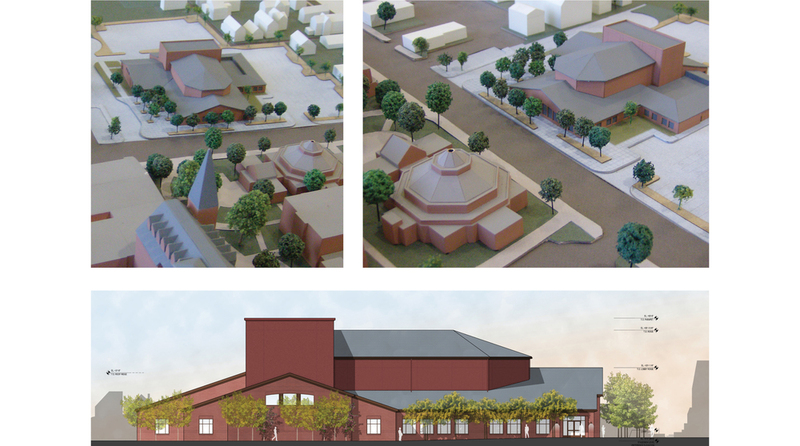 The Breen Center is a newly constructed facility for music and theater education at this historic Jesuit academy. The 36,000ft² building is designed on one level, for cost economy. The hallmark space is a 550-seat multi-purpose hall, designed for both theater and music performance, using smooth and profiled terra cotta block. Also included are rehearsal spaces for band, choir and theater, a lobby which doubles as a classroom/event space and modest back-of-house support spaces.